We greatly appreciate you taking the time to complete the this survey. We understand that your time is valuable. In an effort to respect that, this survey should only take 5-10 minutes. This survey is to help us get an idea for the needs and expectations of the people we serve. This is where your voice is heard. It's our intention to make sure that The Citadel of Love is a beacon in the community and that our members are proud to be affiliated with the church. We also want to make sure we are doing what is needed to draw people to Christ. Your answers to the questions below will help us do that more effectively, strategically, and in a manner that you would be proud of. Please answer the questions below as honestly and accurately as possibly. You have permission to be as brutally honestly as you need to. Your submissions will be anonymous. Thank you again for you time and input. 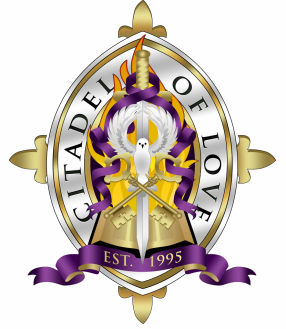 Please let you know if you are a member of The Citadel Of Love. Please give us a range of years that you have been attending? Your answer may include the time prior to joining. Please share your age range. Remember this anonymous and confidential. Please describe what makes you not likely to invite someone. Be as descriptive as you'd like. Please give us some insight on how likely you'd invite someone that you really respect and look up to. Please describe why you have some hesitation in inviting people you look up to.